– 4500+ Minimally Invasive Cardiac Surgeries. 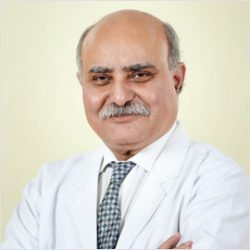 Dr. Kaul’s earlier assignments include: Director of Cardiothoracic Surgery at Fortis Escorts Heart Institute (New Delhi); Visiting Professor at Banaras Hindu University (Varanasi); Teacher & Examiner of Cardio Vascular Sciences, Mumbai University; Consultant & Unit Head Bombay Hospital & Research Centre (Mumbai); Director at BM Birla Heart Research Centre (Kolkata) and Visiting Cardiac Surgeon at RAK Hospital, UAE. BLK Heart Centre provides state-of-the art comprehensive cardiac care to patients. The Centre has a competent team of experienced doctors and other healthcare professionals offering World Class Services in Cardiothoracic and Vascular Surgery, Interventional Cardiology, Interventional Radiology, Neuro Interventional Services. The Centre also provides the facility of Diagnostic Non Invasive, Nuclear Scans and CT Imaging all available under one roof.